Lawfirm Marketing – Many law new law firms fail to get new clients and open even more files simply because they haven’t done enough business development to market their businesses. Most lawyers probably don’t consider marketing as a non-essential activity but forget that every law firm needs clients and it’s a cut-throat competition situation out there. You need aggressive marketing to promote your law firm and attract new clients. Here are a few effective marketing techniques for lawyers that can help you grow your business. Gone are the days when law firms marketed themselves as general practitioners of law. It’s not viable anymore unless you are a huge firm with unlimited marketing budgets. You can, however, set yourself apart by focusing your marketing efforts on one type of law. For example, you can focus on marketing your firm as a tax law expert or as an expert in trademark issues. 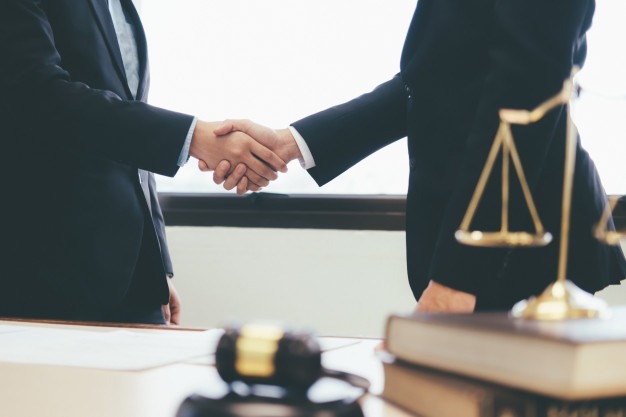 When prospective clients are looking for an attorney, they already have a specific type of lawyer in mind depending on their needs. They are more likely to trust a lawyer who specializes in what they are after more than a jack-of-all-trades. Lawyers who market themselves as specialists in particular fields of law, tend to get more clients than those who don’t. This is rather obvious. In this digital age, no business can survive without a strong online presence. You need a website, which is actually the face of your law firm on the Internet. Building a website should be the first step for a new practice. The website should showcase your expertise and more importantly show the visitors how you can help to solve their legal problems. Make sure to state your specialty and have a clear outline of the services you provide in your type of law. Your website should also provide helpful resources such as free eBooks or links to other sources of general information about your field of law. If you need a professionally designed law firm website that is functional and responsive in all types of devices, Naked Media can design it for you at an affordable cost. We ensure that the website we build for you is perfectly aligned to your marketing needs. Social media has emerged as a strong marketing tool for just about every business. Build accounts in top social media sites including Facebook, Twitter, and LinkedIn. You can use these social media sites to provide more information about your services. Digital advertising is one of the fastest ways of building traffic to your company’s website. Naked Media offers the best local internet marketing services designed to give you optimal results. We provide you with highly effective social media lead generation, Pay-Per-Click, Adwords management, search engine optimization (SEO), email marketing, and reputation management services just to mention a few. Our goal is to ensure that your law firm website gets traffic that converts. If you are looking for the best results, call and speak to one of our expert internet marketing strategists today.